At Elliott Manor, we are looking to help you. 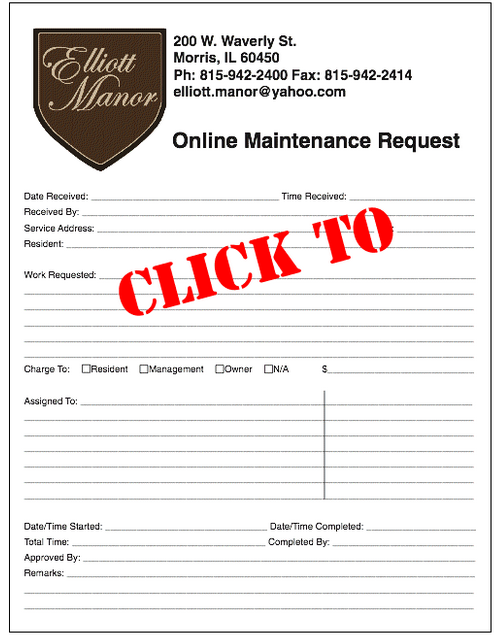 If you need maintenance, please download the online maintenance form on the right and print it out on your computer. Please indicate your maintenance request. Next, please return it to the main office or fax it to 815-942-2414 so we can process your request and get a technician out to you.